Shor-Line has been expanding its line of Low Stress products for the last six years. Pets have moved from the barnyard to the bedroom, so today’s pet parents fret about any stress their fur children might experience. The good news is that more pets are seeing their veterinarian regularly. The challenge is that expectations have never been higher. Compare this to the “whole child” approach to human pediatric care that embraces not just the medical aspects of care but also the child’s emotional well-being and the child’s primary caregivers. Not only does the child need outstanding care, but the child also needs to enjoy it. Shor-Line is one of several companies, researchers, veterinary groups and thought leaders envisioning a better office visit for pets and low stress care that continues throughout the practice. This is the impetus for Shor-Line Low Stress™ (SLS) system of products. They include products that have been continuously improved through research, coordination with thought leaders and veterinary (and pet!) input. How Can Low Stress Practices Aid My Practice? 26% of dog owners and 38% of cat owners said that just thinking about going to the vet was stressful, according to the Bayer study. Most pet owners like to take their pets out, so make visits “fun” for pet parent and pet alike. No one knows animals better than you and your staff, and many low stress products and recommendations just showcase your talents more visibly. People hear what they see. 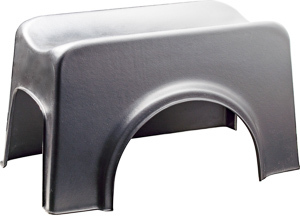 Shor-Line has every reason to believe the durability of these housing units will provide years of service. 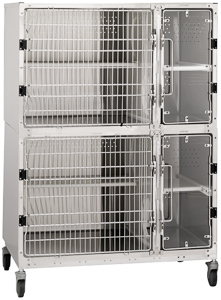 At Shor-Line, we continue to develop products based on veterinarian and customer input. Our latest innovations are the Feline Comfort Suite and the Kat Kave. The Feline Comfort Suite incorporates leading research in the field of feline animal housing. The litter area is taller, allowing for comfortable elimination posturing and the main living area is spacious, allowing options for the feline. We construct the entire unit from a revolutionary fine-celled foam board that is impervious to moisture. This will stand up to decades of service in even the harshest environments. The Kat Kave provides two levels of cat comfort. The lower level has three crawl areas and a place to hunker down and hide. The top level has a concave resting space that lets the cat snuggle down. 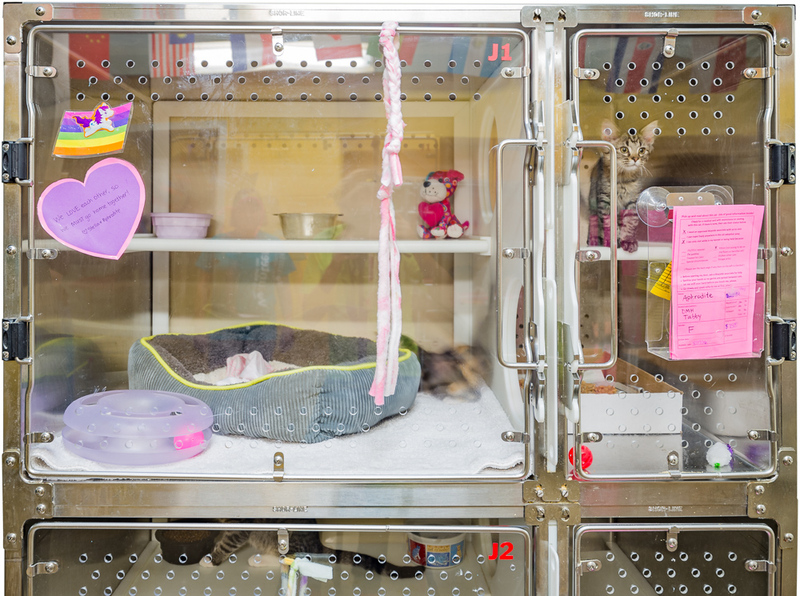 Meeting these feline needs reduces boarding and recovery stress. 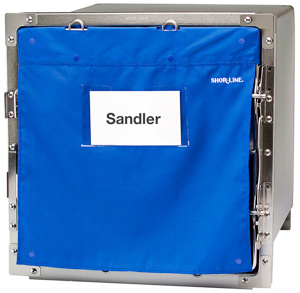 Shor-Line is committed to continuing to add to this popular product line. Helping the pet feel comfortable during the exam is proven to be good for the pet, pet parent AND the veterinarian. We now have many options for lowering stress during this critical time. 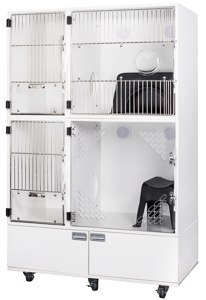 Shor-Line offers two types of exam tables that reduce pet stress. This is a Low Stress (LS) version of the traditional Shor-Line collection of Mark exam tables that we have been making for the last 40 years. 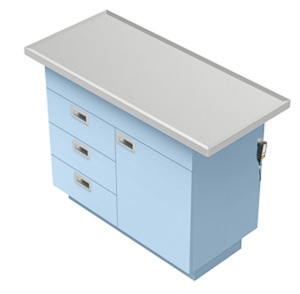 The Mark III LS features the popular 44½”W x 20”D Stainless Steel tabletop with the added benefit of a heating unit controller that allows the table to stay at a warming 94°F. Towels or blankets can sit on top of the table, if desired. The heating element uses the same safety controls as our Warming Pad. It is a factory-set temperature with three cycle options (60, 90, 120 minutes) and there is a built-in alarm and shut off to alert you to an overheating situation. The top has a raised edge to prevent fluid runoff. If a pet does have a nervous accident, it is simple to clean up, reducing stress of the event. For veterinarians who like to store supplies or equipment in the exam room, this features the popular three drawers and one door design. This is especially handy for practices using towels on the top as they can store easily. The Fear Free movement evolved with Dr. Marty Becker and now includes more than 43,000 veterinary and pet professionals who have become Fear Free Certified®. We developed the Fear Free table in conjunction with Dr. Becker and Fear FreeSM. It aims to provide a relaxing environment to encourage calmer, more accepting patients. 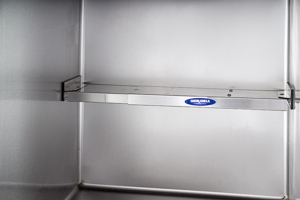 Heated Stainless Steel exam top provides a warm surface that has safety shutoffs. It is factory-set at 94° F (34.4° C). 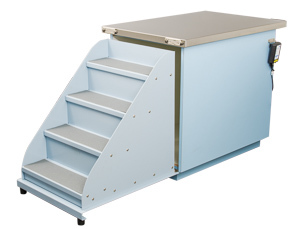 Non-skid stairs (four steps) fold down and gently settle on the floor with rubber feet to decrease noise. It operates with fingertip control, allowing you to focus on the patient. Toe kicks (3") around the table allow you to be comfortably close to the table. The Fear Free badge indicates this table is part of a Fear Free practice. Two colors available: Light Blue and Woolamai Blue. Copyright © Shor-Line 2019. All rights reserved.